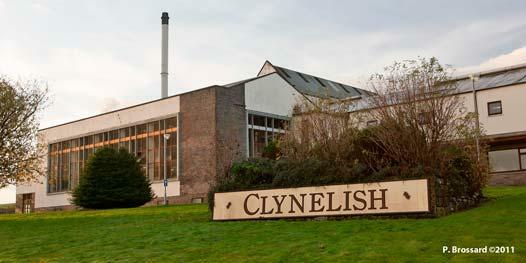 The distillery was built in 1968, adjacent to the original Clynelish distillery which was closed. Confusingly the original distillery was reopened in May 1969 and until July 1973 produced a heavily peated whisky to supply for blending; this was done to cover a shortage of Islay whisky caused by a drought on the island (while taking the Manager's Tour of the distillery in September 2015, I was told that this was due to the Caol Ila distillery being re-built from scratch, and therefore to compensate the lack of Caol Ila for blending during a couple of years). The old distillery was renamed Brora Distillery and production of a peated spirit continued until 1983. Clynelish has had a strong connection with Johnnie Walker blended whisky for many years. A large proportion of the spirit used in Johnnie Walker Gold Label Reserve comes from this distillery.